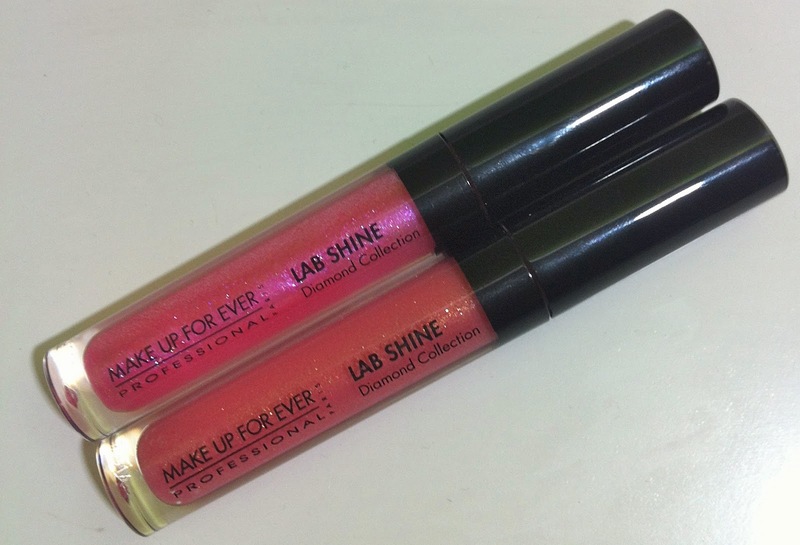 MAKE UP FOR EVER (I feel like I'm yelling the name when typed in all caps) makes 3 different Lab Shine lipgloss forumlas: Diamond, Star, and Metal. Sephora was selling a couple of sets that had 2 Diamond glosses for $16, and I decided to pick up the pink set. D8 is described as a shimmering baby pink. It looks more hot pink in the tube. D14 is described as a shimmering Indian pink. The applicator is a short, little brush. 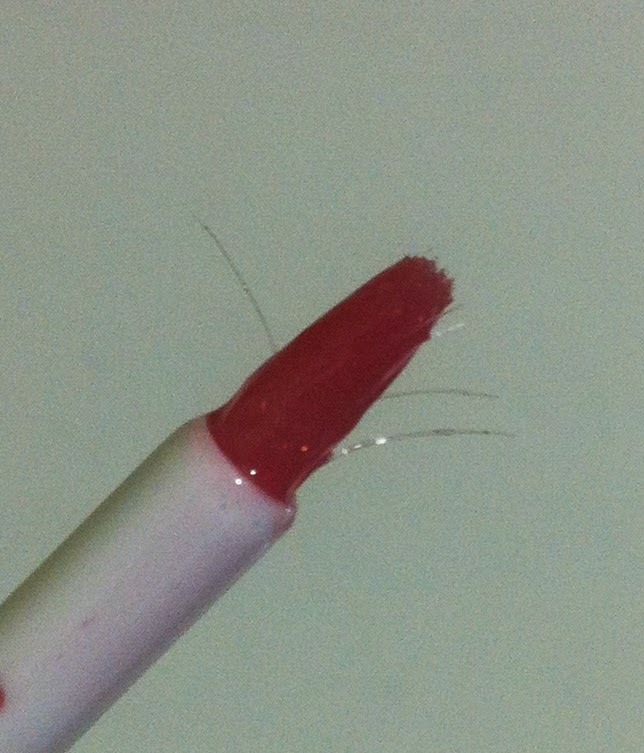 I generally like brushes for lipgloss, but occasionally a few of the bristles will splay out like this one. The formula is exquisitely smooth and non-sticky, and, even though they are sparkly, they have no grittiness. They have a slight fruity scent but no taste, and feel light but pretty hydrating on the lips. These are sheer, and are quite glossy. 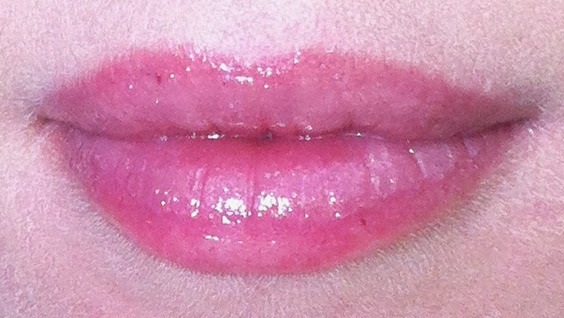 Surprisingly, they aren't as sparkly on the lips as I expected. They aren't particularly long-lasting because of the slipperiness. More about the three different formulas from the Sephora website: Available in 35 shades across three unique collections: Diamond, Star, and Metal. The Diamond Collection includes 12 shades that give natural looking color with sparkling, sheer coverage. The Star Collection has 14 shades with a pearly shine for medium coverage. The Metal Collection consists of nine highly pigmented shades that offer full coverage with an intense, chrome finish. 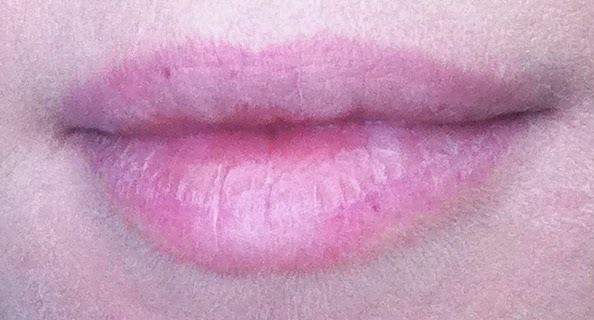 Obviously, these will look quite different on lips with different pigmentation from mine because they are sheer. They look nice and glossy on their own, and work nicely over a lipstick or lip pencil. You can see the sparkles in D14 better in this awesomely blurry photo. 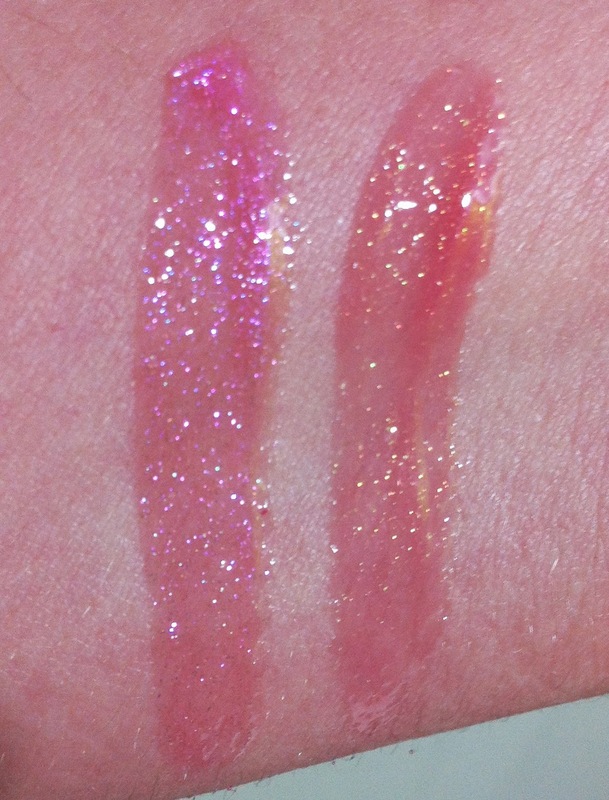 I think these are sophisticated glitter lipglosses. 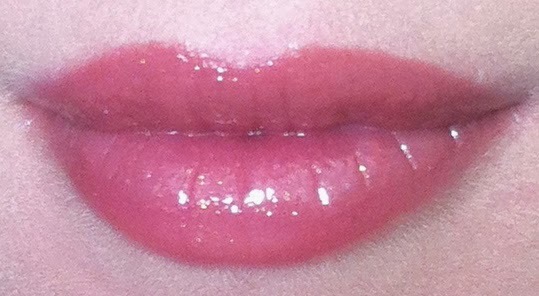 The sparkle seems to make the gloss look even glossier. How do you feel about sparkly lipglosses? Do you like them more glittery than this? 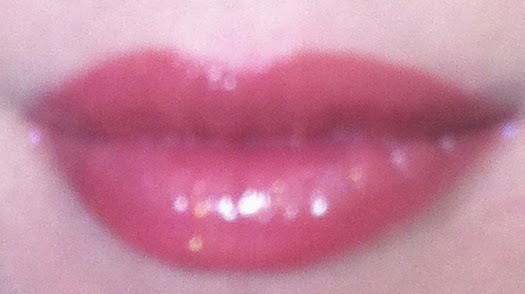 I'm cool with glittery glosses. I suppose the level of glitter depends on the occasion - it's probably not what I'd choose to wear to a job interview or something. D8, won't you be mine? The glitter in these are super stunning! That kit sounds like a great bargain! I was surprised they were full size!